GammaPix™ patented* technology, developed by Image Insight, Inc, provides a low-cost, pervasive detector network to monitor for ionising radiation. It takes advantage of the inherent sensitivity of digital cameras to gamma radiation. The software allows unmodified and internet connected surveillance cameras, webcams, smartphone cameras, and tablet cameras to detect the telltale signatures created when gamma rays interact with the camera's sensor chip. GammaPix software has been designated a Qualified Anti-Terrorism Technology (QATT) by the U.S. Department of Homeland Security. Terrorist groups have increased their threats to use nuclear or radioactive weapons against major cities, government facilities, sporting venues, and major events. 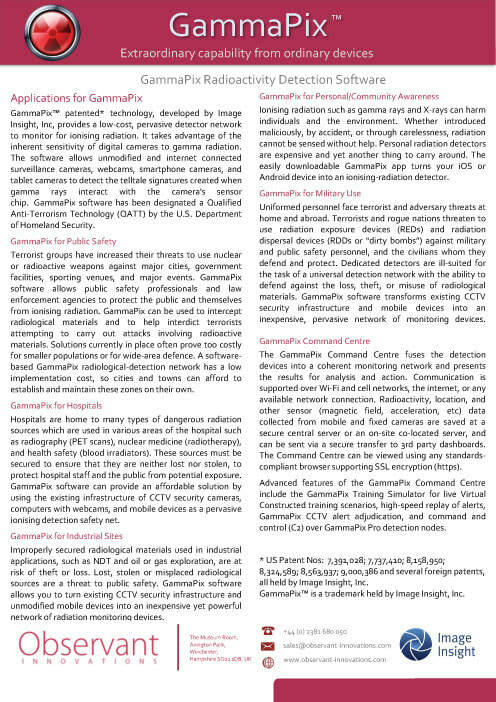 GammaPix software allows public safety professionals and law enforcement agencies to protect the public and themselves from ionising radiation. 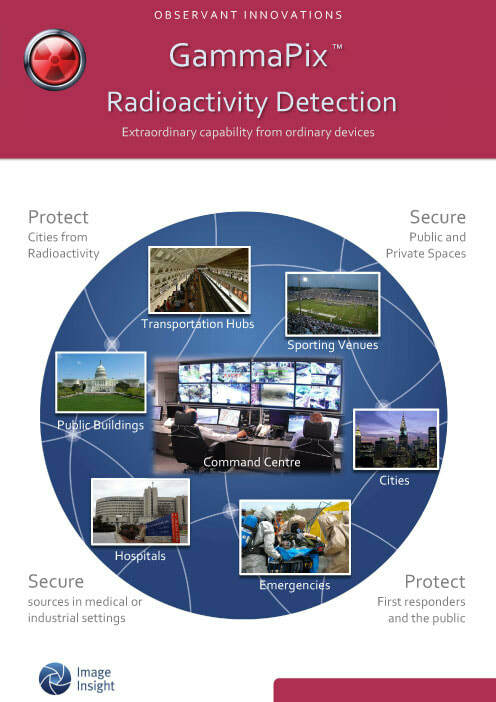 GammaPix can be used to intercept radiological materials and to help interdict terrorists attempting to carry out attacks involving radioactive materials. Solutions currently in place often prove too costly for smaller populations or for wide-area defence. A software-based GammaPix radiological-detection network has a low implementation cost, so cities and towns can afford to establish and maintain these zones on their own. Hospitals are home to many types of dangerous radiation sources which are used in various areas of the hospital such as radiography (PET scans), nuclear medicine (radiotherapy), and health safety (blood irradiators). These sources must be secured to ensure that they are neither lost nor stolen, to protect hospital staff and the public from potential exposure. 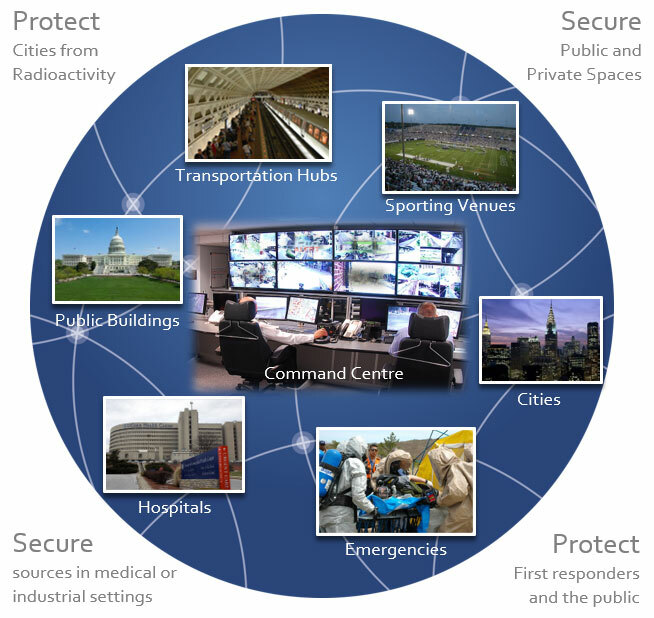 GammaPix software can provide an affordable solution by using the existing infrastructure of CCTV security cameras, computers with webcams, and mobile devices as a pervasive ionising detection safety net. Improperly secured radiological materials used in industrial applications, such as NDT and oil or gas exploration, are at risk of theft or loss. Lost, stolen or misplaced radiological sources are a threat to public safety. GammaPix software allows you to turn existing CCTV security infrastructure and unmodified mobile devices into an inexpensive yet powerful network of radiation monitoring devices. * US Patent Nos: 7,391,028; 7,737,410; 8,158,950; 8,324,589; 8,563,937; 9,000,386 and several foreign patents, all held by Image Insight, Inc.
Ionising radiation such as gamma rays and X-rays can harm individuals and the environment. Whether introduced maliciously, by accident, or through carelessness, radiation cannot be sensed without help. Personal radiation detectors are expensive and yet another thing to carry around. The easily downloadable GammaPix app turns your iOS or Android device into an ionising-radiation detector. Uniformed personnel face terrorist and adversary threats at home and abroad. Terrorists and rogue nations threaten to use radiation exposure devices (REDs) and radiation dispersal devices (RDDs or “dirty bombs”) against military and public safety personnel, and the civilians whom they defend and protect. Dedicated detectors are ill-suited for the task of a universal detection network with the ability to defend against the loss, theft, or misuse of radiological materials. GammaPix software transforms existing CCTV security infrastructure and mobile devices into an inexpensive, pervasive network of monitoring devices. The GammaPix Command Centre fuses the detection devices into a coherent monitoring network and presents the results for analysis and action. Communication is supported over Wi-Fi and cell networks, the internet, or any available network connection. Radioactivity, location, and other sensor (magnetic field, acceleration, etc) data collected from mobile and fixed cameras are saved at a secure central server or an on-site co-located server, and can be sent via a secure transfer to 3rd party dashboards. The Command Centre can be viewed using any standards-compliant browser supporting SSL encryption (https). Advanced features of the GammaPix Command Centre include the GammaPix Training Simulator for live Virtual Constructed training scenarios, high-speed replay of alerts, GammaPix CCTV alert adjudication, and command and control (C2) over GammaPix Pro detection nodes. Click on either of the images above to download.